When we talk about the Samsung Galaxy S9 and Galaxy S9+, the leaks simply do not want to stop. The Korean tech giant’s 2018 flagship smartphones are due for launch later this month. They’ll bring several important upgrades and refine the fantastic form factor Samsung introduced with the Galaxy S8 and Galaxy S8+. Just as with the S8s, the S9 lineup also features regularly on the rumor mill, leaving no stone un-turned for even the tiniest of specification. Today, we’ve got more details on the pair. Take a look below. Right now, we’re not sure on what we’ve missed for the Samsung Galaxy S9 and galaxy S9+. In a press that’s driven by traffic, people simply do not care if news is authentic or not. Being a salaried employee therefore requires coverage of everything which comes out of the rumor mill – or be subject to accusations of laziness. So, here we are. Another case leak for the Galaxy S9 and Galaxy S9+ takes place, confirming the countless others that we’ve covered before. 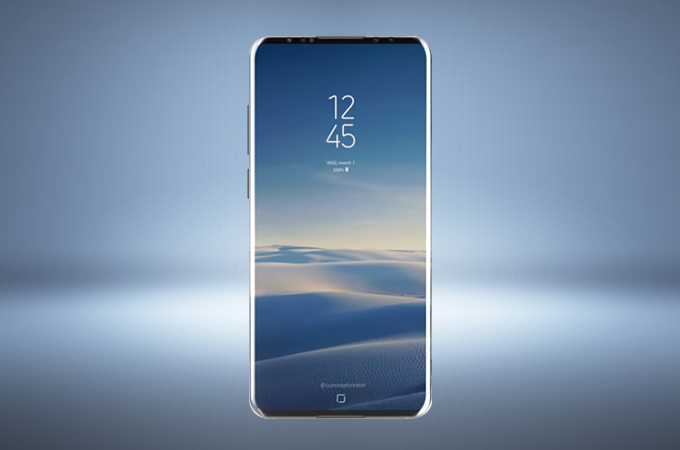 Take a look at the video below and you’ll get a good idea of what the Galaxy S9 and Galaxy S9+ will look like. The big upgrade this year involves a dual camera setup for the Galaxy S9+. Samsung did not introduce the feature on the smartphone’s predecessor. Rather, it’s the Galaxy Note8 which introduced it on Seoul’s high-end mobile offerings. This video shows the exact same cases which we covered in an earlier post today. However, it provides more details for the dimensions on upcoming flagships. If you viewed the video, you’ll know that the Galaxy S8 and Galaxy S8+ fit the cases perfectly. We’ve heard a lot of sources claim that Samsung will not change dimensions on its flagship smartphones this year, so this reveal is not much of a surprise. The changed positions for the rear fingerprint sensor and a dual camera setup for the larger Galaxy S9+ are also clearly visible. However, what the video does not contain is information about Samsung’s camera upgrades for the Galaxy S9. The rumor mill believes that we’ve got a fantastic variable aperture camera headed our way. This will give the Galaxy S9 some teeth, especially against Google’s Pixel 2 and Pixel 2 XL. Thoughts? Let us know what you think in the comments section below and stay tuned. We’ll keep you updated on the latest.